The letter referred to "rising authoritarianism and majoritarianism", which, the former bureaucrats said, barred debate and dissent. New Delhi: A spate of recent developments - from cow vigilantism and religious intolerance to trolling and intimidation - has evoked a "sense of deep disquiet" in a group of 65 former bureaucrats, who have urged the State to take corrective measures to tackle growing "hyper-nationalism" in the country. In an open letter, they said the disquiet had prompted them "to chronicle their reservations and misgivings" about the developments. They expressed concern over the "ugly trend of trolling, threats and online intimidation of activists, journalists, writers and intellectuals who disagree with the dominant ideology". The letter referred to "rising authoritarianism and majoritarianism", which, they said, barred debate and dissent. "There is a growing hyper-nationalism that reduces any critique to a binary: if you are not with the government, you are anti-national. Those in authority should not be questioned - that is the clear message," they said in the letter made public today. They appealed to public authorities and Constitutional bodies to take heed of these disturbing trends and to take corrective action. "We have to reclaim and defend the spirit of the Constitution of India, as envisaged by the founding fathers," they said. The letter mentioned a communal campaign in the run-up to the Uttar Pradesh elections, held earlier this year. In UP, "an odious and frankly communal comparison" was made between the relative numbers of burial grounds and cremation grounds, it said. The question was also asked if electricity was being supplied equally to different communities during their religious festivals, it said. "It appears as if there is a growing climate of religious intolerance that is aimed primarily at Muslims," it said. The banning of slaughter houses targets minorities and affects their livelihoods as well. Such intolerance breeds violence in a communally charged atmosphere, the letter said. "Vigilantism has become widespread. An Akhlaq is killed on the basis of a suspicion that the meat he has is beef and a Pehlu Khan is lynched while transporting to his place two cows he had bought and for which he had the necessary papers," said the former bureaucrats, who had held important posts at both the Centre and in the states. 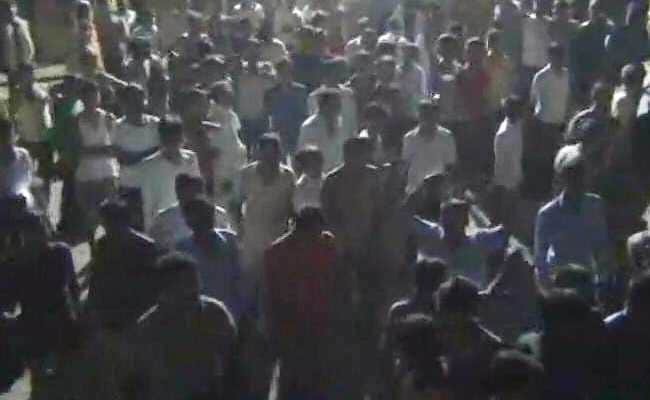 Cow vigilante groups functioned with impunity and seemed to be doing so with the "tacit complicity or active encouragement" of the State machinery, they alleged. "The behaviour of vigilantes - who act as if they are prosecutor, judge and executioner rolled into one - flies in the face of law and jurisprudence," the letter said. It mentioned "anti-Romeo" squads that threatened young couples and attacks by administrations -- "with a supportive government to back them" -- on student groups and faculty members on campuses such as Hyderabad and JNU. Several NGOs and civil society organisations, it said, were being charged with violating provisions of the Foreign Contribution regulation Act and the Income Tax Act. "While we agree that genuine violators should be identified and penalised, we note with dismay that several of the targeted groups are those who have taken stands against government policies, expressed dissent or supported communities in cases against the State," it said. The letter was signed by former officers such as 91-year-old Har Mander Singh, who belonged to the 1953 batch of the Indian Administrative Service, former Culture Secretary and Prasar Bharti CEO Jawhar Sircar, former Secretary of Department of Economic Affairs E A S Sarma and former Mumbai police chief Julio Rebeiro.